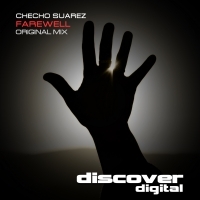 Checho Suarez debuts on Discover Digital with the razor sharp Farewell. Launching with intent in a haze of distorted soundwaves that fire in from all directions, Farewell drops into a classic trance breakdown that opens up into an object of beauty. As the melody hits full throttle, Farewell kicks back in with all guns blazing and with only brief respite stays true to its big room roots all the way to the outro. A fantastic label debut from Checho Suarez! 'Farewell' is available now from Beatport and iTunes.